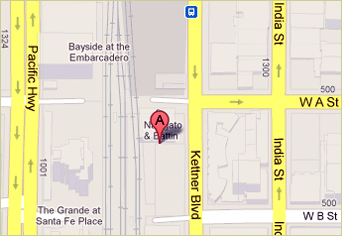 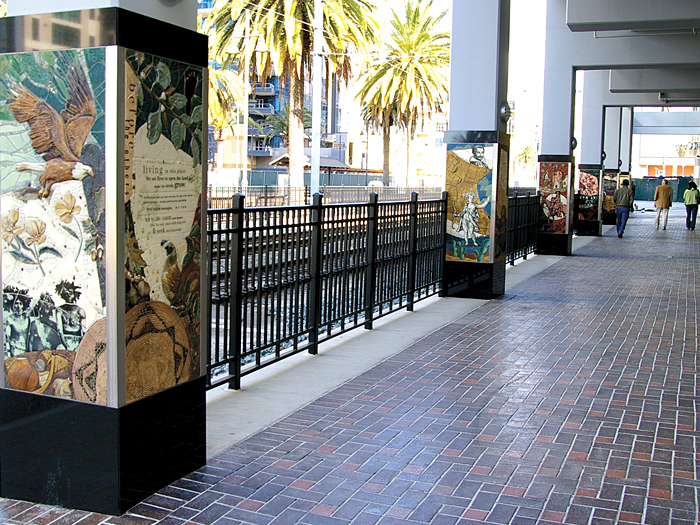 Ten columns on the trolley-track side of the Sapphire Tower residential condominium depict the history of San Diego. 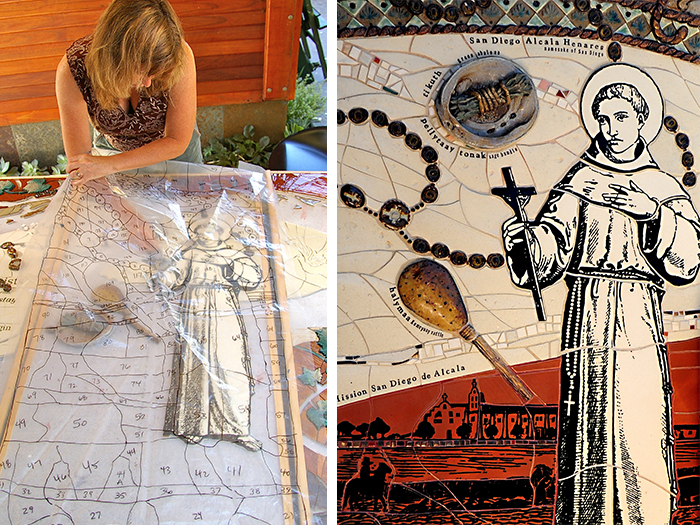 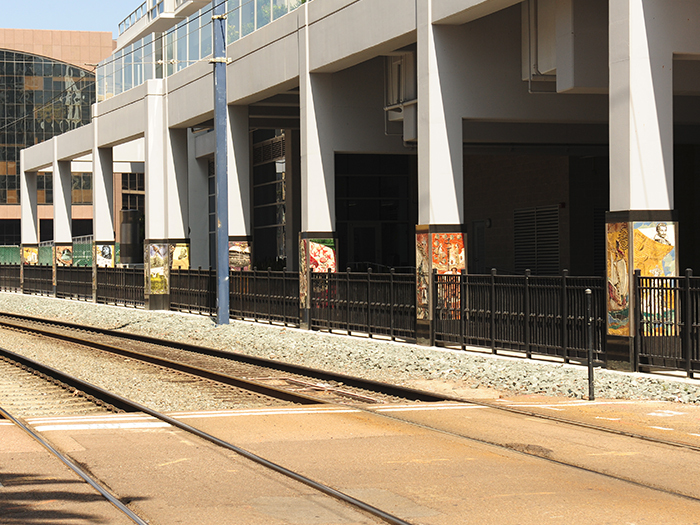 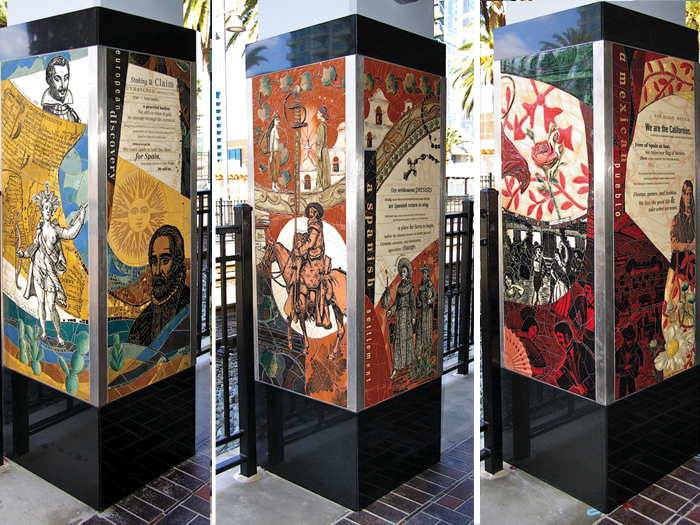 Each column mural represents a different period of San Diego history. 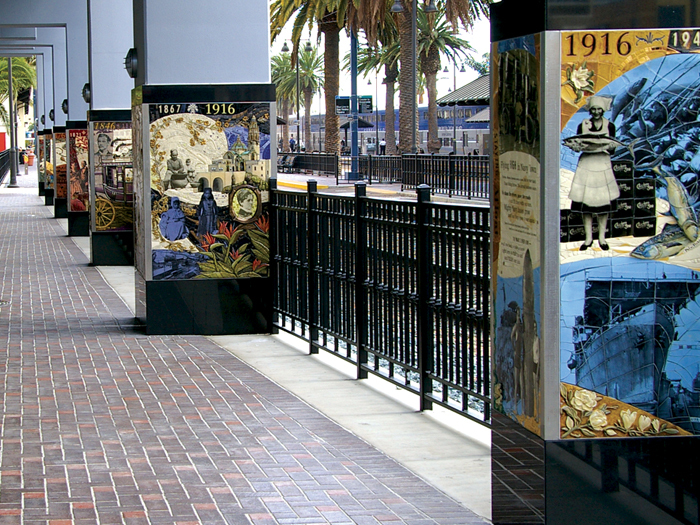 To gather the information, images, and usage rights for photo reproduction, Betsy Schulz tapped many sources, including the San Diego Historical Society, Huntington Library, Barona Band of Mission Indians, and Sycuan Band of the Kumeyaay Nation, as well as books, journal articles, and internet resources. 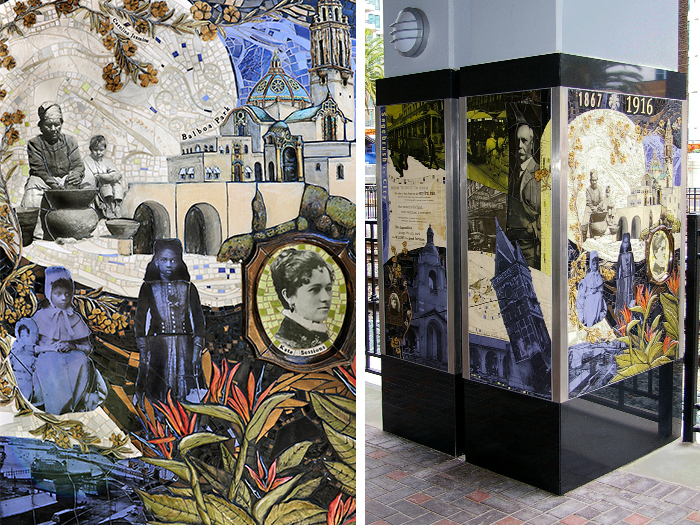 Each column mural provides a glimpse into the history and feeling of the times, as researched and interpreted by the artist. 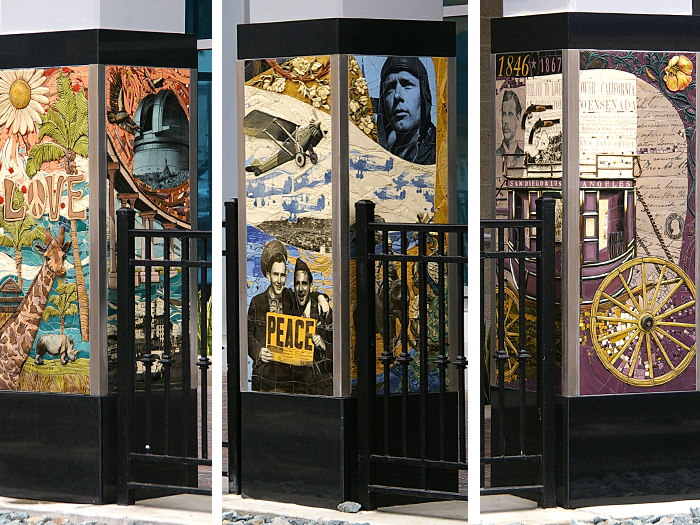 In conjunction with this project, Schulz sponsored two workshops, with McKinley Elementary School and with the ARTS (A Reason To Survive) program. 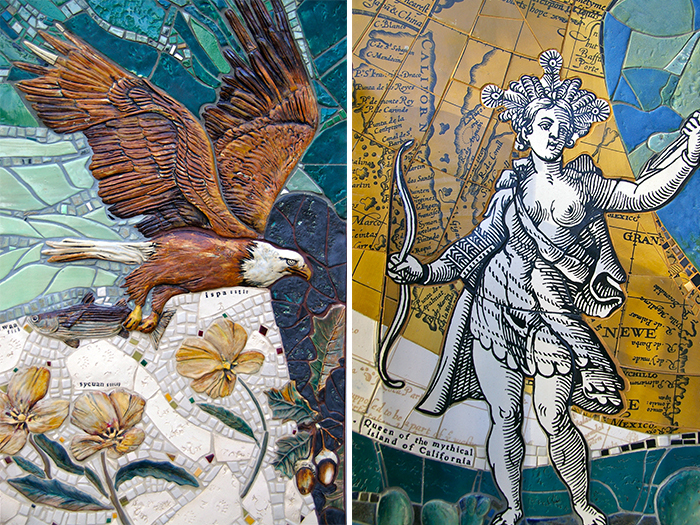 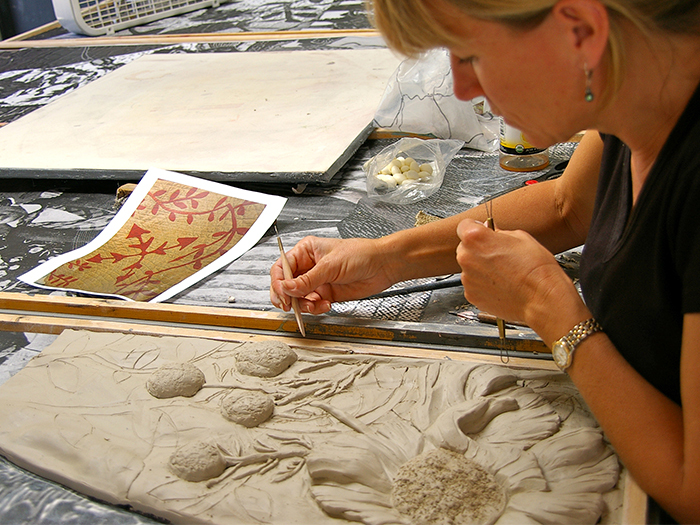 All extra mosaic tiles and grout were donated to ARTS for their ongoing projects with children.